Foregrounding reciprocity and exchange, 2017/2018 marks a phase of play, experimentation, and renewal for Humber Galleries. 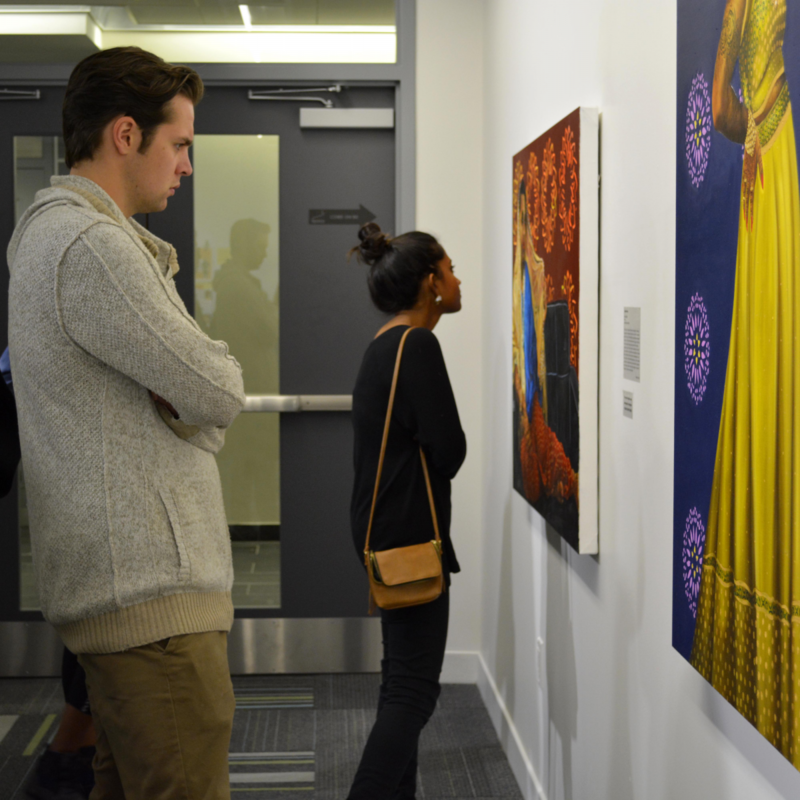 As we explore fresh possibilities with our exhibitions and public programs, Humber Galleries brings together students, faculty, and the communities that surround Humber, as well as the local, national, and international art field. The polytechnic model is the “third way” between the university and the trade college; it blends the creation of new knowledge and the solving of real world problems. Because we are located within Humber College—a polytechnic environment—Humber Galleries is a space where contemporary art and polytechnic learning come together and influence each other. Humber’s core values of creativity, innovation, problem-solving, adaptability, and collaboration guide this mandate. Poly means many. We are committed to strengthening our polytechnic vision by taking a ‘poly’ approach by developing multiple streams of activity which are: polycentric (with many sites including galleries on two campuses and online), polyvalent (with programming in different forms), and polyvocal (featuring many voices). When you come to North Space (North Campus) and L Space (Lakeshore Campus), you will experience these many spaces, forms, and voices that inform our polytechnic approach to contemporary art. We are an active collaborator in the social and educational fabric of Humber College, our neighbourhood, and the contemporary art discipline. Come to Humber Galleries to be changed by art and leave with new knowledge about the world. We respectfully acknowledge that we are guests on ancestral and treaty lands.